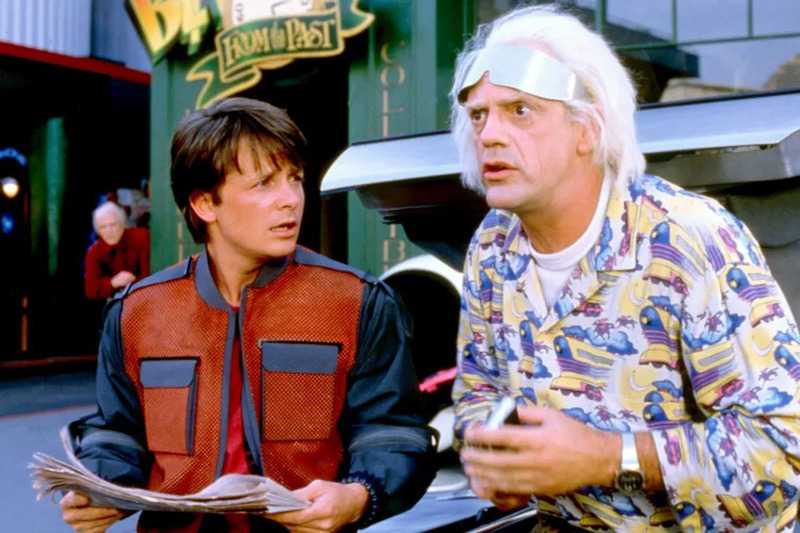 Was 'Back to The Future II' Able To Predict 2015's Technology? It’s October 21st, 2015! The future is now and what a time it is to be alive. Here is how close we are to six inventions Marty McFly saw in 2015 in Back to the Future II. They exist! Lexus revealed the Lexus Slide this past summer with pro skateboarder Ross McGouran in Barcelona. This bad boy utilizes liquid nitrogen filled cryostats inlaid with superconducting blocks over a track of permanent magnets to maintain its sweet hover. Basically the board hovers because it’s so chill. While we may not have hover conversion cars zooming overhead just yet, flying DeLoreans might be just around the corner. AeroMobil 3.0, a Slovak prototype roadable aircraft designed by Štefan Klein, was first flown in 2013. Despite a crash of the prototype this past June, the company is forging onward and hopes to see pre-orders in 2017 with deliveries in 2018. When Doc finds out about Marty’s plan to make some quick cash with the sports almanac of the future, he warns Marty of the dangers that may arise from misuse of the time machine. Doc attempts to throw away the almanac in a Litter Bug trash bin conveniently strolling by but stops when he sees the police have found Jennifer. Now we don’t have Litter Bugs patrolling the streets for waste yet but we have had the Roomba, an autonomous robotic vacuum cleaner, for our homes since 2002. It utilizes a set of sensors to detect dirt and change directions to avoid obstacles. According to its site, it has sold over 10 million units as of February 2014. Not only are they useful to keep your house clean, but also provide great transportation for your cat. They’re not on sale at the mall quite yet but the technology for “active clothing” is in the works. Purdue University researchers are developing a robotic fabric embedded with sensors that allow it to move. The sensors are made of flexible polymer and threadlike strands of shape-memory alloy that contracts when heated. Now we just need the blow dry feature and it’ll be cool beans. Marty McFly Jr. is seen wearing one of these visors when we visit the McFly home in Hillday 2015. Google Glass is one of a few similar gadgets that we have in our present day. It became available to the public in May 2014 for $1,500. However, Google has stopped production of the prototype in starting January 2015 but continues to develop the product. Tinker Hatfield designed the original pair that Marty wore in the 1989 film. 15 years later, Nike released an exact replica called the 2011 Nike Mag but was limited to only 1,500 pairs. They were auctioned on eBay on September 8, 2011 and the proceeds went to The Michael J. Fox Foundation for Parkinson’s disease research. It’s worth noting that the 2011 version did not have power laces. Fortunately, Tinker Hatfield announced earlier this year that power laces are indeed coming sometime in 2015.